Case study of the month! Home » News » Case study of the month! 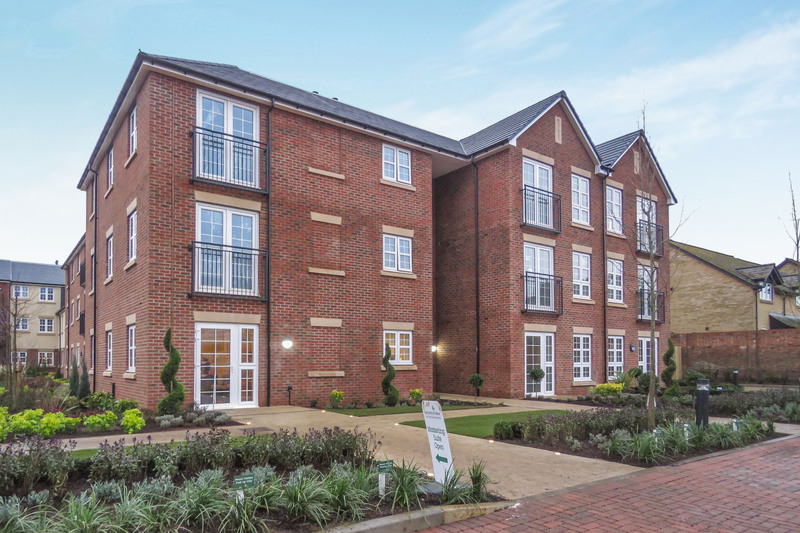 A large McCarthy & Stone development in Bedfordshire has become the latest Retirement Living facility to benefit from the sustainable properties of Russell Roof Tiles’ concrete tiles. Parkland Place in Biggleswade, in the north east of the county, was completed late last year and is an essential facility given the demand for Retirement Living facilities locally. Today, across the UK, there is an ever-growing elderly population and an increasing pressure within the sector to build and maintain accommodation for the 410,000 UK residents who currently require care. Comprising of 46 spacious one and two-bedroom apartments and three two-bedroom cottages, the retirement development is exclusively for residents over 60 and has been designed with an on-site club lounge, a secure 24-hour emergency alarm system, a mobility scooter charging room and lifts to every floor, to make living as easy as possible for its residents. Work on the development of Parkland Place was completed by retirement house builders, McCarthy & Stone, with the help of Russell Roof Tiles. The roof tile manufacturer supplied 20,000 of its Moray concrete tiles in slate grey. Moray is part of Russell Roof Tiles’ Natural Range – an expanding selection of thinner leading edge interlocking concrete tiles that has the natural appearance of stone, clay or slate. The tile provides a riven finish which when laid gives the appearance of stone tiles while also providing the benefits of a concrete tile, including consistency and longevity, minimising the life time costs of the roof once installed. Russell Roof Tiles was chosen thanks to its cost-effective yet sustainable roofing solutions. Its concrete tiles replicate the appearance of natural looking roof tiles with the benefits of offering greater strength while Russell Roof Tiles’ modern manufacturing methods deliver a technically consistent and quality product for the developer. Andrew Hayward, Managing Director at Russell Roof Tiles said: “Parkland Place has provided much needed facilities in Bedfordshire at a time when the demand for Retirement Living accommodation is increasing.